The Olympic black bear, Ursus americanus altifrontalis, was first noted at Crater Lake, Oregon 1896 when a biological survey was made of the mammals in the area. It was recognized as a separate black bear species in 1903 by American Zoologist Daniel Giraud Elliot. 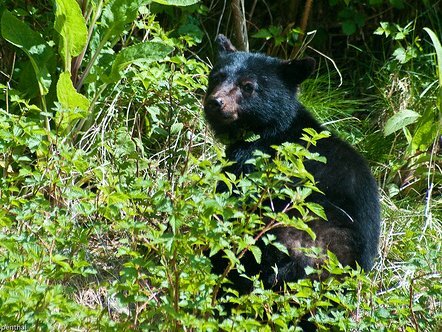 The Olympic Black Bear, can be found from the southern half of British Columbia, down through western Washington and Oregon to the northwestern part of California. In Oregon and California, it is found only west of the Cascade Range. In California, it is thought to be geographically separated from the California Black Bear, Ursus americanus californiensis, by the crest of the Klamath Mountains. Like many other bears, the Olympic Black Bear is found predominantly in forested areas and meadows, and often near water. They are about average size for a black bear. 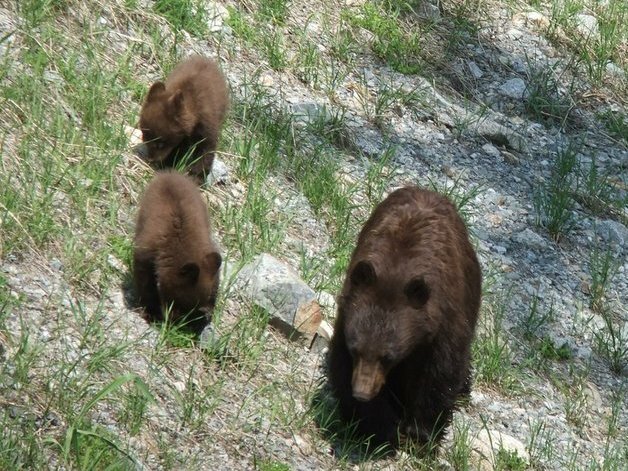 Though they are larger than the adjoining populations of the California Black Bear and the Cinnamon Black Bear. The Olympic Black Bear has a broad, high, and bulging forehead with a tan nose. They are usually black, but sometimes appear dark brown. The Olympic black bear is an omnivorous creature, though it mainly feeds on vegetation. It will eat fish in the summer and autumn and also feed on berries, nuts, insects and carrion. The population of the Olympic Black Bear is said to be fairly stable, although it is claimed to be affected by habitat loss, conflict with humans, hunting and climate change. Their lifespan in the wild is probably around 18 years, though they can live to be up to 30 years in captivity.